Risotto is one of our all-time favorite dishes to whip up. Not only is it easy to make, but it’s also a hearty way to get all the flavors out of our first-of-its-kind Concentrated Liquid Stock. There are few dishes that are as popular or versatile as risotto, served both in home kitchens and restaurants. Rice was first introduced to Italy and Spain by the Arabs in the Middle Ages. The humidity in the Mediterranean ended up being the perfect place for short-grain rice to grow, making it popular throughout the region. 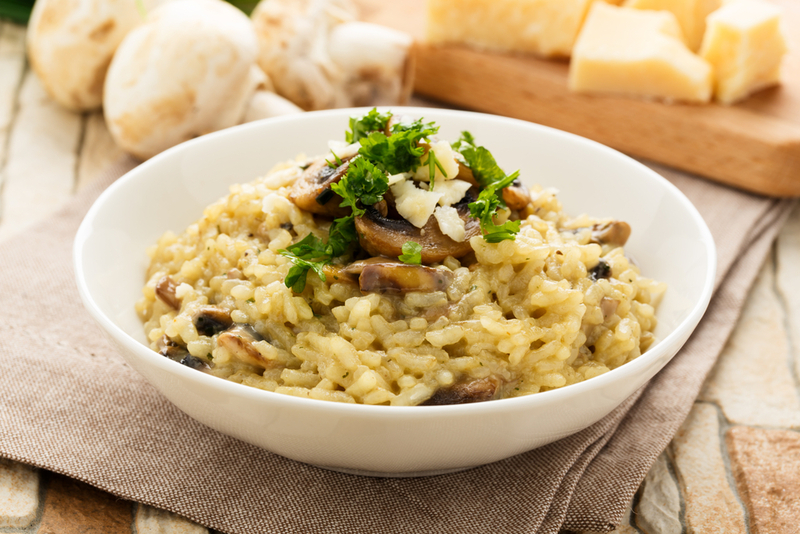 Risotto itself was created in Milan with their local rice, during the time that slow-cooking principles were popular. Risotto ended up being the perfect combination of shorter grain rice and stock that resulted in a thick and creamy sauce. Now that we’ve shared our favorites with you, what is your go-to risotto recipe?